The following is the final summary report of Mars Desert Research Station (MDRS) Crew 190 (UCL to Mars). 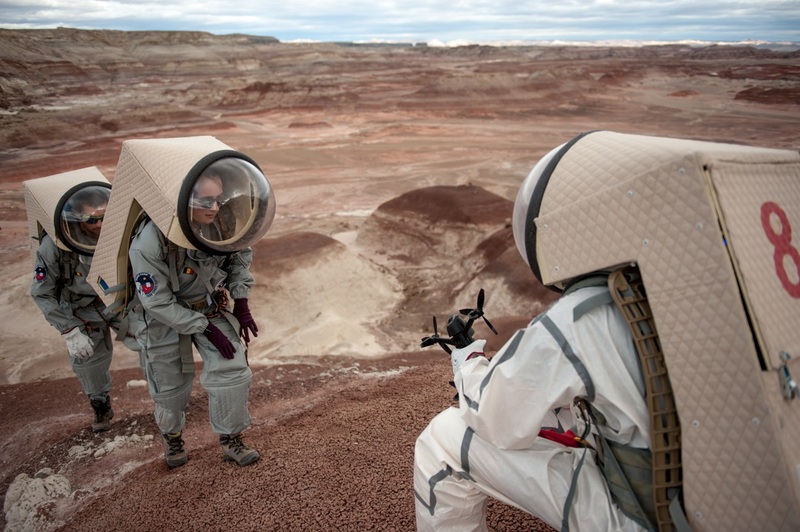 A full review of this field season's activities at MDRS will be presented at the 21st Annual International Mars Society Convention, scheduled for August 23-26, 2018 at the Pasadena Convention Center (Pasadena, California). It’s been twelve SOLs that Crew 190 landed on Mars. They rapidly settled down in the Hab and got to work. Quickly they learned to live with each other. A bit formally, we distinguish in this report five main activities that had been shared and managed during the time living in the station: scientific work, team management, housework, EVAs and social activities. Scientific challenge was the main motivation of our stay at the MDRS. On a typical daily schedule, it usually primes on the rest of the activities. In this section, we provide a summary of the objectives and outcomes among the several experiments that were initially planned by the crew. Here we briefly present our different experiments. Psychological and emotional aspects are paramount in this kind of mission. Martin Roumain, the Health and Safety Officer and biomedical researcher, evaluated the impact of confinement by monitoring short-term memory and reflexes throughout the mission. He also studied the accelerated degradation of drugs by the Martian environment using a spectro-photometer. This device has also been used by Maximilien Richald, chemist and Crew Commander of this mission. Maximilien focused on the chemical profile of Martian soil in view of an eventual use in agriculture. Food self-sufficiency being essential for long duration space missions, Mario Sundic, botanist and GreenHab Officer, has designed a vertical hydroponic system, reducing the water needs thanks to this closed circuit. Frédéric Peyrusson, Crew Biologist, tested the benefits of hydro-gels on plants growth. Moreover, he studied the ability of known bacteria to resist to a harsh environment and figured out the bio-compatibility of terrestrial life on Mars. Our second Biologist, Ariane Sablon, isolated fermenting bacteria from human saliva in view of making possible the preparation of sourdough bread in situ. Bastien Baix, the Crew Engineer, created a self-made 3D-map of the station and its surroundings using an aerial drone. Our physicist and Crew Astronomer Sophie Wuyckens, also contributed to terrain analysis by setting up a method based on cosmic radiations measurements. She was also in charge of the Musk Observatory. All these experiments needed to be perfectly coordinated. That was the role of Michael Saint-Guillain, the computer scientist and Executive Officer, who designed an algorithm that helped the scheduling of the various experiments conducted by the crew members. To read the full mission report, please click here.